One 14 karat yellow gold enamel ring. 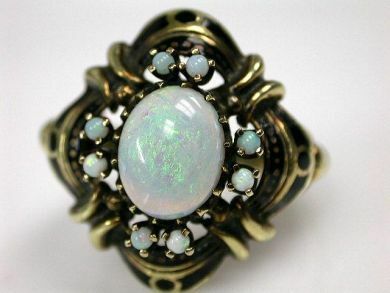 One cabochon opal (1.87 carats). Eight round opal beads. The ring is bordered by black enamel trim.